Nothing warms the heart and soul like a good cup of hot chocolate with a towering heap of whipped cream. 😀 This is a very easy and yummy recipe. In a heat resistant bowl — combine powder milk and chocolate chips. Carefully, stir in hot water and whisk until powder milk and chocolate chips are completely dissolved. 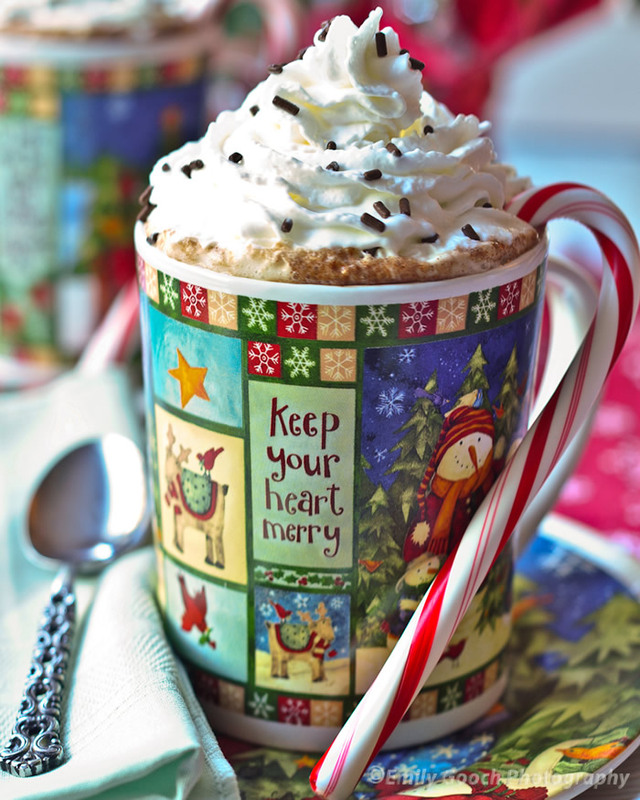 Pour hot chocolate in a mug and topped with whipped cream. Enjoy! btw is it better with powder milk or with real milk? Personally, I think it tastes great with either. The intent of this recipe is that you can make the chocolate mix ahead of time and all you have to do is add hot water. Just make sure to use quality ingredients. Great photo, and a recipe I can probably do with my limited skills and equipment! I will try this out.